Finding the right foundation is the same as finding the perfect pair of jeans. It's a case of trial and error. You need to try different shades and brands, and the last one you try on will probably be the one. I have tried out many foundations in the last couple of years, but I'm still looking for my perfect match. 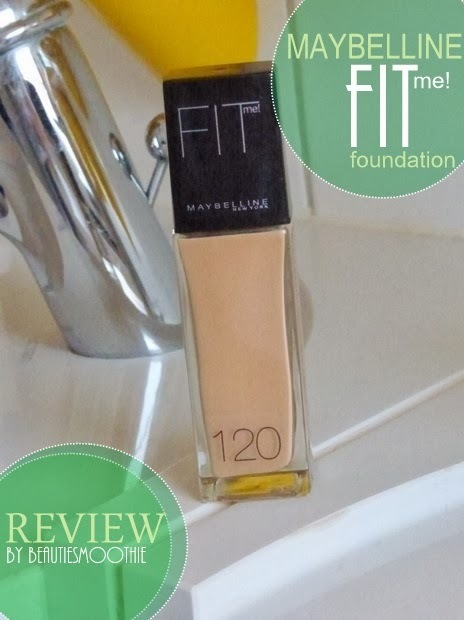 The last one I bought is the Maybelline Fit Me Foundation and I have a review for you right here! How Maybelline describes the Fit Me! 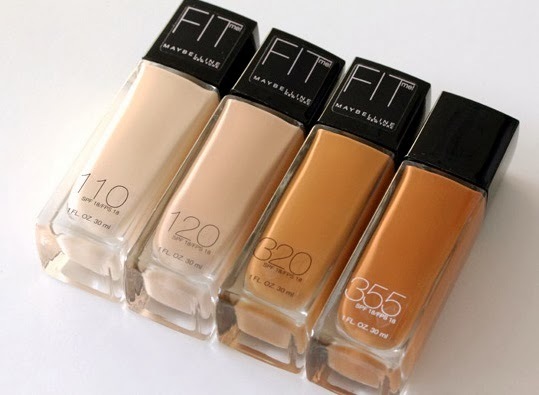 foundations: "It's makeup that fits you. No oils, no waxes, no nonsense. Natural, light to medium coverage that leaves skin the way it was meant to be. Fresh, breathing, flawless. Exclusive transluscent base and lightweight pigments allow skin's natural highs and lows to show through. New shades formulated specifically for women of color contain revolutionary 5-D pigment technology to balance your skin's authentic tones and highlights." There are 18 different shades, they also contain SPF 18. The foundation is pretty liquid and easy to blend. I'm wearing Classic Ivory 120. I used a flat foundation brush to blend and I needed one pump to cover my whole face. It's soft and natural. The product doesn't feel like a mask while wearing it. It leaves your skin very dewy and natural looking. The smell. Weird mentioning this for a foundation, but I really like how it smells, and since it does go over you whole face this is definitely a plus! Easy for built up. If you have problem skin with some acne/ blemishes or feel like the foundation is too transparent, you can easily add a second layer on your problem areas. It doesn't stick the entire day. I wore this foundation for a day of shopping and noticed after 6 hours the product was starting to disappear. It goes off on clothes easy, so I won't be wearing this foundation for a shopping day again. I also wouldn't recommend wearing the foundation when going clubbing or out in hot weather, since sweat your coverage will disappear quickly. Would I buy the Maybelline Fit Me Foundation again? If I see this product in the store again, I probably wouldn't pick it up again. It becomes too slippery 'n slide after some hours. I do love the natural finish and the transparency, but it's not enough for a repurchase. You can find this foundation in stores for € 13,99.